Even me, who will always be part of the Bugaboo brigade, can not ignore the release of Cybex's new stroller. A comfortable, modernly designed stroller, priced in the range of Bugaboo in 2018. has ignited the Croatian market. Priam comes in two versions, LIGHT and LUXE version. What exactly is the difference is going to be clarified in the text. The first part of the purchase, choice of chassis and ... which wheels? You can choose from three types of wheels. Let's shorten the story. Wheel options would be these on the photo. Photos tell you for which terrains are which wheels. Personally, all-terrain wheels look the best, and they are not so much bigger comparing to others.. The stroller can be combined up to three in one system. The Luxe version can be bought without bassinet as "one in one version" only with a sports seat. While the light version can be bought as a minimum 2u1 system because the seat and the basket come packed together in one box as one item. 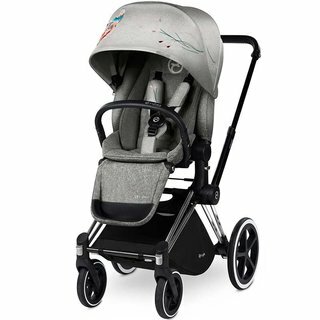 The second part of the purchase, choice of stroller version, LUXE or LIGHT version? The Luxe version is a bit more expensive option for those who may give a bit more attention to details than functionality. Concerning the particular appearance, the luxe version is a bit more sofisticated version, with leather detailing on the footrest, and a seat inlay in the sports seat that is also slightly more spacious than a light variant. 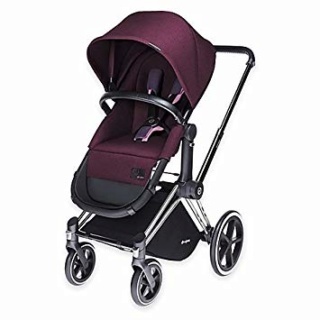 The main difference between the luxe and the light version would be that in the luxe version of the stroller, you will get a seat and seperatly a basket. While in the light seat version, a chassis part provided that used for the bassinet in the first six months, which is then "peeled of" from the chassis part, and on the same chassis part you must applie to the seat textiles attaching it with "yarns" and than you use in the next upcoming period. The Luxe Seat Version of Cybex can be used from 0+ which would mean that you do not even have to have a bassinet, but you can use a sports seat at birth. That is not possible with the light version and it is declarative 6+ when it comes to a sports seat. 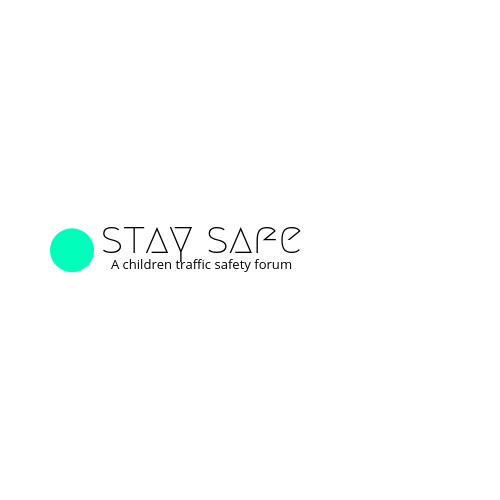 In a complete lying position at the place where the child's but comes, there is a slight incursion so it is practically impossible to accommodate a newborn in it. Another major difference is the number of "sleeping possitions" of the sport seat. While the light version has only three positions, luxe cam be fitted to any level as desired. Pictures and tables for better comparison and easier purchase in the text below. The third part of the purchase, the car seat as a third part? Cybex Priam is recommended as a 3u1 system with a combination of Cybex Cloud Q and Aton Q car seats. Car seat adapters come with the stroller so they do not have to be bought seperetly. Both car seats are one of the best in the market. Cloud q reached ADAC 1.9, while Aton Q was rated 1.6.